Holiday house for 2-4 people on the best spot of the ski area! 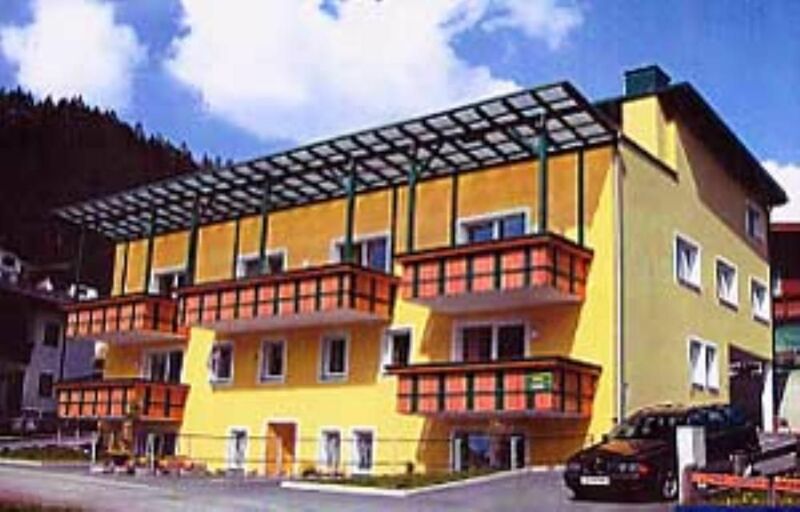 Located in a superb ski area in the Zillertal Valley, just 150 m away from the Kaltenbach/Hochzillertal Valley Station. However, the countryside location is peaceful and central. There is a railway and bus station just 100 metres away, so you can also arrive without a car. In winter, pets unfortunately are not allowed! In summer, they are allowed if under constant supervision. There are some hiking paths just a couple of metres away from the house. The holiday house for 2-4 people is completely fitted, including bed linen, towels, bath towels, and table linen. Also available: crockery, a coffee maker, a kettle, a toaster, a microwave, a stove/oven, a dishwasher, and so on. The one-storey holiday house is composed of a bedroom, a large and cosy eat-in kitchen with a new sofa bed sleeping 2, an anteroom, a bathroom with a window, a shower, a toilet, a ski storage room, a small and roofed terrace with a lovely morning sun, and a parking space. For more than 10 years, I have been renting the Kathrin holiday rental in Kaltenbach, constantly striving to meet the needs of my guests. Many of them have meanwhile become satisfied regulars, treasuring the fantastic location and top-notch equipment of the holiday rental. The holiday home sits in a peaceful and sunny location, just 150 m away from the Hochzillertal/Kaltenbach mountain railway valley station. Ski rental, après-ski, schools, shops, restaurants, the railway station, and many more are reachable in just a few minutes walking. Therefore, you don not really need a car. In summer, this is the perfect starting point for hikes, excursions, and much more. You can also arrive by train or bus .A car is not really necessary, since everything is reachable within a couple of minutes walking. It is a one-storey holiday rental, ideal for 2-4 people. It has been equipped with everything you need for a relaxing holiday! It is a cosy, large eat-in kitchen with a sitting area sleeping two. Kitchenette fitted with tableware, cutlery, pots and pans, and so on. The holiday rental in Kaltenbach is the ideal location for couples, families, or friends for spending some relaxing, exciting holidays. Short journeys, central yet peaceful location, no car needed! "Nice and clean appartment for family max four persons. Fair price. Excellent situated with easy walking distance in ski boots to ski lift, supermarket and little railway station (with connection to other Zillertal ski areas). No need for car or skibus." "Very good location of the apartment, just next to the chair lifts. Pleasent and clean apartment. Very kind and helpful owner, always available." "Nice, clean apartment. Close to skilift and supermarket but far enough away from the noise from afterskiing.Nice view to the mountains. "Everything was wonderful. Thank you very much." "A very comfortable apartment, very well equiped. The owner is really friendly and willing to help you. It's a clean apartment, there is almost no noise, the terrace should be taken care of. It's easy to arrive there, no problems with this. Peaceful, quiet, lovely region." "My husband and I found this accommodation excellent in every way.The apartment was very well equipped, a lot of thought had been given to our comfort and requirements.It was very clean and quiet, situated in pleasant surroundings with a lovely view of the valley. It proved an excellent centre for the Zillertal area for motorists, walkers and railway enthusiasts!" Take the Inntal motorway until the Zillertal exit, and then follow until Kaltenbach. Take the entry to the ski area Kaltenbach/Hochzillertal Valley Station. Then, take the second approach road on right-hand side.